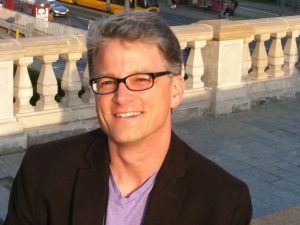 I am an Associate Professor of modern German History and the Richard G. Neiheisel Professor in European History at the University of Louisiana at Lafayette. My areas of interest include nationalism, antisemitism, globalization, and political culture. 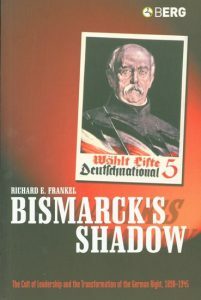 My first book, Bismarck’s Shadow: The Cult of Leadership and the Transformation of the German Right, 1898-1945 looked at the ways in which the image of Otto von Bismarck was manipulated and used by various political actors, primarily on the Right, to advance their own agendas. Ultimately, it shows how the Cult of Bismarck helped prepare the ground for the rise and eventual success of Adolf Hitler and the Nazis. My current book project explores the relationship between antisemitism and globalization in the late nineteenth and early twentieth century with a focus on Germany and the United States. My questions, basically, are: Why hasn’t the press made this observation and drawn parallels to the Nazis in a manner similar to your article? Is this comparison to Nuremberg’s “Biological Genocide” appropriate in your opinion? I know Trump demonstrates both authoritarian psychological and political behavior but this family separation policy is beyond the pale and is tremendously concerning going forward. I tremble to think what else will he unleash on the world? Thank you and I look forward to your comments. P.S. – I peeked at your CV. I grew up in NC and attended both UNC (took a few undergraduate physics and organic chemistry courses) and Duke (medical school). I trust your time at Chapel Hill was pleasant.